Since gaming has become my 9-5, I needed to find a new hobby. Well, that became cooking. I've always enjoyed it, but in the past several years, it's really taken off. So, what do I do when I see a book that combines my "old" hobby with my "new" hobby? I take immediate notice, that's what. Cooking With Dice is like an RPG, but also a cook book. You make recipes as your adventure, with hopefully a great story and a great dish at the end of it. It's up on Kickstarter now. 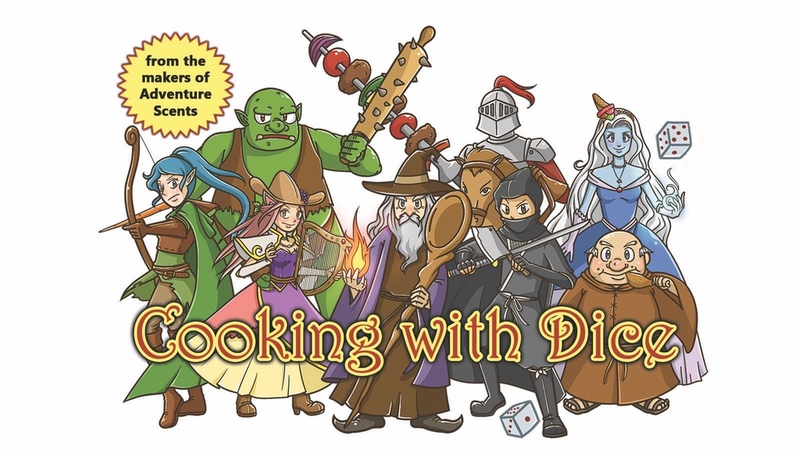 Cooking with Dice is like a traditional tabletop role playing game, but it comes with a delicious twist. You take on the role of a chef-adventurer, and cook your way out of trouble... in real life... in your own kitchen. Whether you're looking for a way to make your friendly game night more delicious, or a way to make your family dinnertime more fun... we've got you covered. The campaign is already over its funding goal. So it's onward through stretch goals for the next 27 days.